LAHORE: (Monday, March 26, 2018): Punjab University and China’s Northeastern University (NEU) have signed a memorandum of understanding for launching joint doctoral program. In this regard, an MoU signing ceremony was organized at Vice Chancellor’s office. 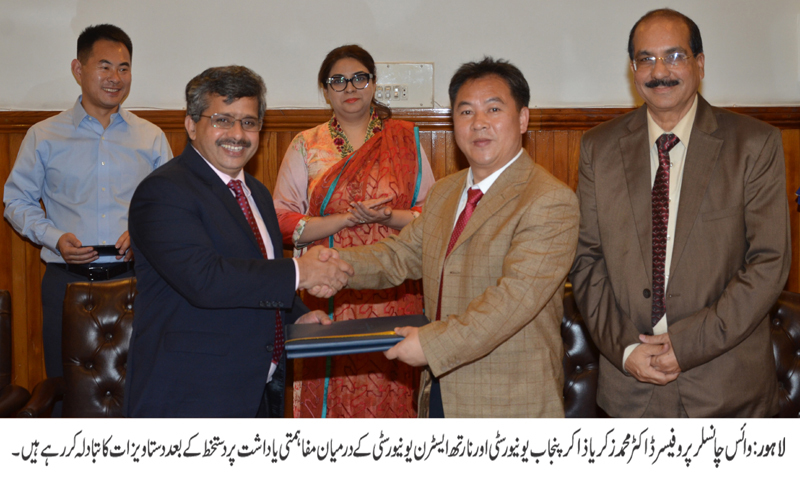 PU Vice Chancellor Prof Dr Muhammad Zakria Zakar, Dean Faculty of Arts Prof Dr Muhammad Iqbal Chawla, Mr Tan Biyou, Director NEU Institute of Manchus Study of China, Director External Linkages Dr Fauzia Hadi Ali and others were present on the occasion. 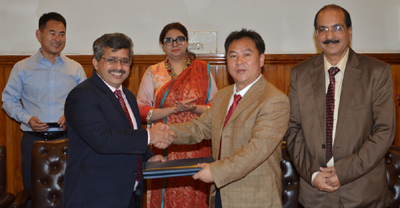 According to MoU, the joint training program would be launched in PhD in History and both parties would jointly recruit the qualified postgraduate students from China. In the four-year program, the students would spend first year in Punjab University to finish the basic course and they would spend next three years to do research in NEU, which is ranked among top 40 universities out of 500 universities in China. Addressing the ceremony, Dr Zakria Zakar said that Pakistan and China were time tested friends. He said that the academic institutions of both countries must enhance academic collaboration because of increasing bilateral relations between China and Pakistan. He said that CPEC would bring prosperity for Pakistan and we must prepare ourselves to get benefit from the mega project.